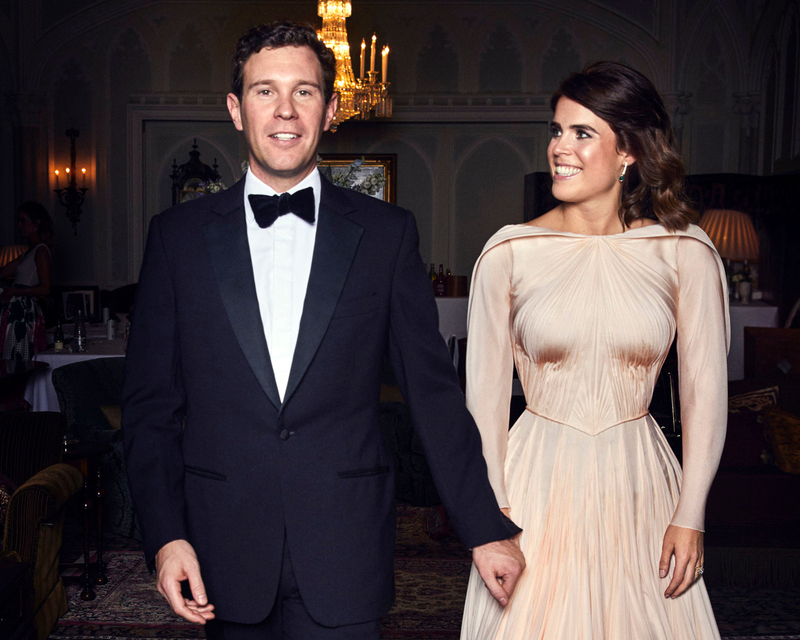 Zac Posen shared the most stunning behind-the-scenes photo of Princess Eugenie in honor of her 29th birthday—and we can’t stop swooning. The American designer, who was called upon to create a vintage Hollywood gown for the royal’s evening wedding reception, shared the photo on Sunday, March 24, wishing Eugenie a happy birthday and offering up some sweet words for the princess’s special day. In the image, Eugenie, who turned 29 on Saturday, looks back over her shoulder with her hands clasped at her waist in a pose reminiscent of a Hollywood starlet. The young royal has, in fact, spoken out before about how Hollywood icon Grace Kelly acted as her inspiration for the gown. My 28th year was the best one yet. Now to being 29…Thank you for all the birthday wishes. Eugenie and Brooksbank, 29, married in a star-studded wedding ceremony on October 12, 2018, with a guest list that included everyone from James Blunt to Liv Tyler, as well as supermodels Naomi Campbell and Cara Delevigne. For the ceremony, the bride wore a form-fitting, off-the-shoulder Peter Pilotto and Christopher De Vos gown with a low back that intentionally revealed her scar. She completed the look with the Grevile Emerald Kokoshnik Tiara, which she borrowed from the queen. Be the first to comment on "Zac Posen Shares Never-Before-Seen Photo of Princess Eugenie in Her Wedding Reception Gown"